Lying across the cities of Wyoming, Montana and Idaho, Yellowstone National Park is the oldest national park in the United States. The park sits on one of the most geologically active lands on earth which produces the park's numerous fascinating geothermal features such as geysers, hot springs, fumaroles and mudpots. There are a number of geyser basins found in the park. 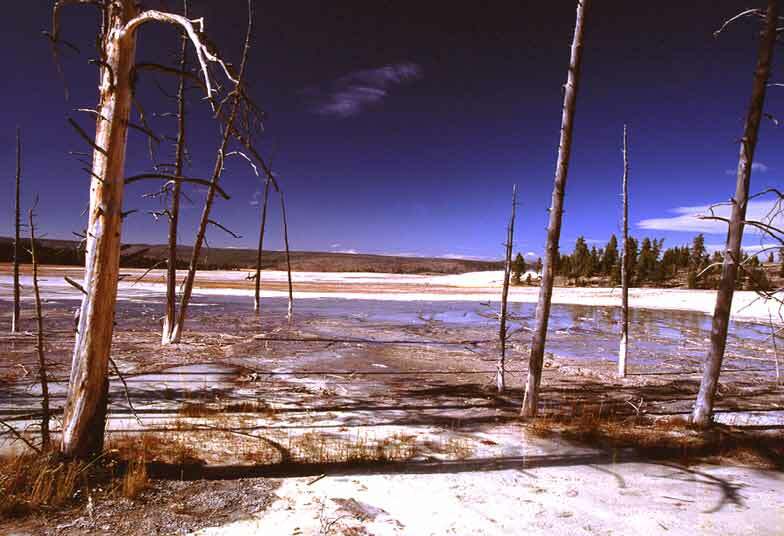 A few of the major basins include the Lower Geyser Basin, Upper Geyser Basin and Norris Geyser Basin. 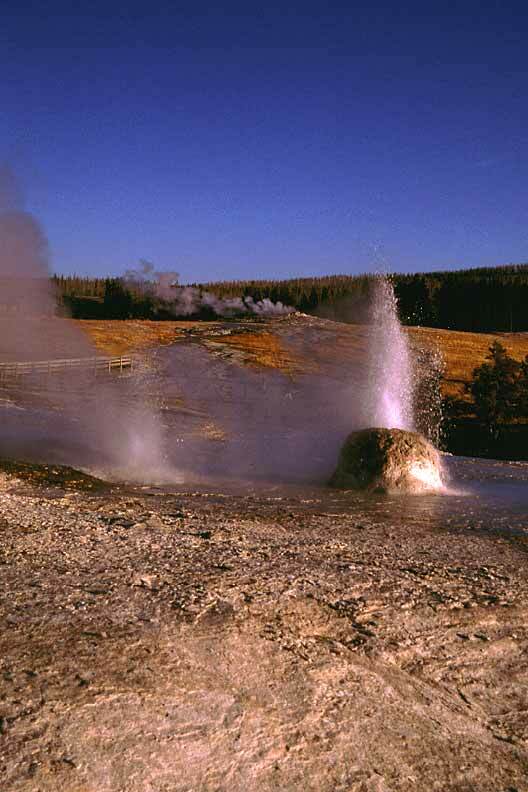 The main attractions here are the various geysers, the most famous of which is Old Faithful in Upper Geyser Basin. 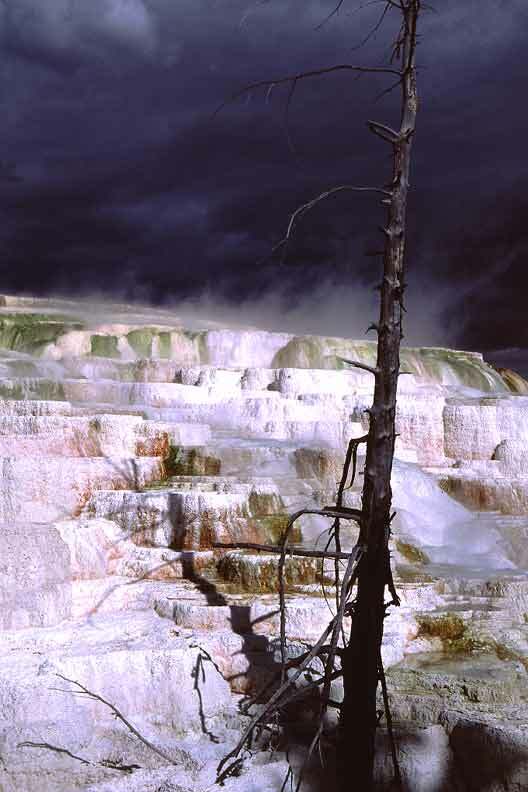 Also in Upper Geyser Basin is the most spectacular geyser in the park, the Grand Geyser. 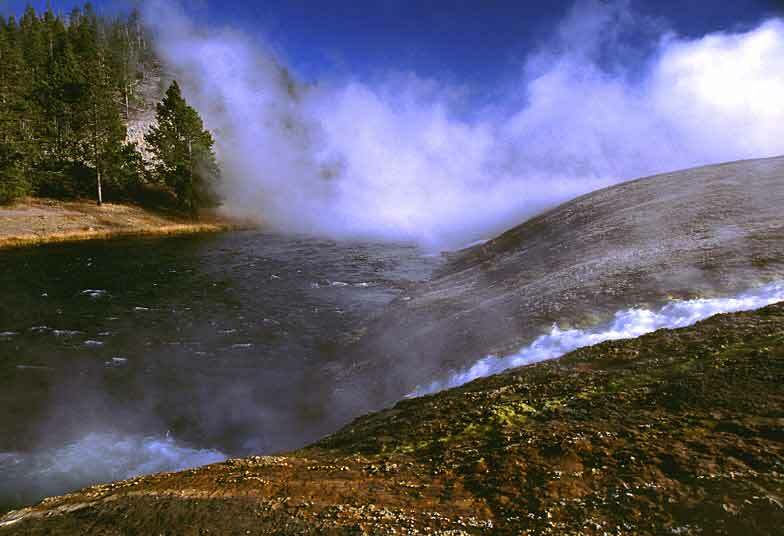 All four types of thermal features can be seen from the short boardwalk along the Fountain Paint Pot Trail and thus is a 'must visit' point for those folks in a rush. Also can be seen here are bacteria mats that are created by the water overflowing from Silex Spring. Mammoth Hot Springs made up of two parts, namely the Lower Terraces, and the Upper Terrace. It is different from the other springs in the park as the water here flows over a series of pools that forms the terrace. The terraces, which are mostly white in colour, are made up of limestone. 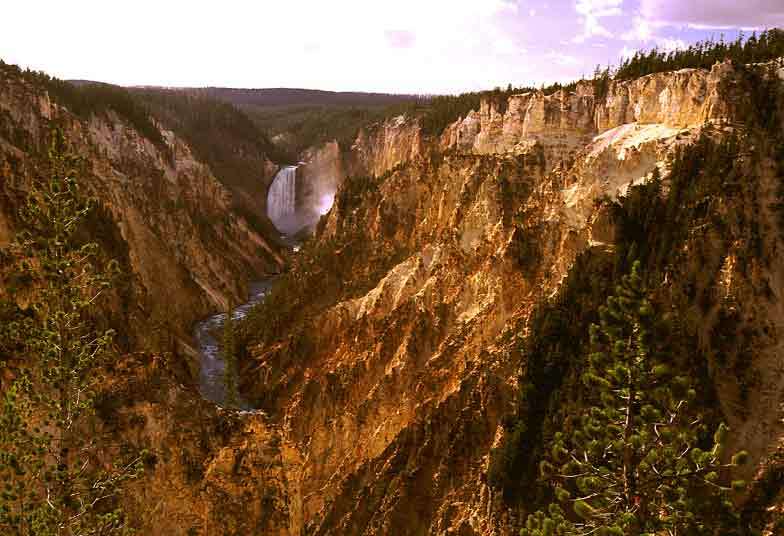 The Grand Canyon of the Yellowstone is easily the one of the most beautiful areas in the park. 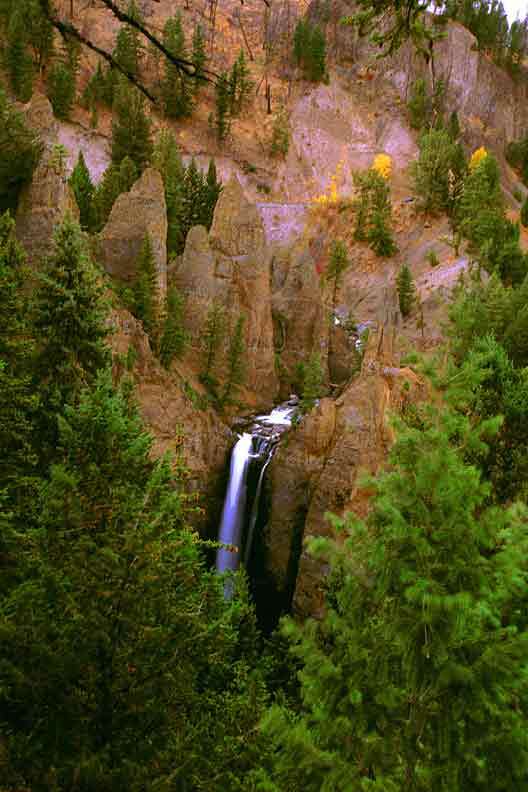 Many waterfalls can be found throughout the park and the most popular of which is Lower Falls. 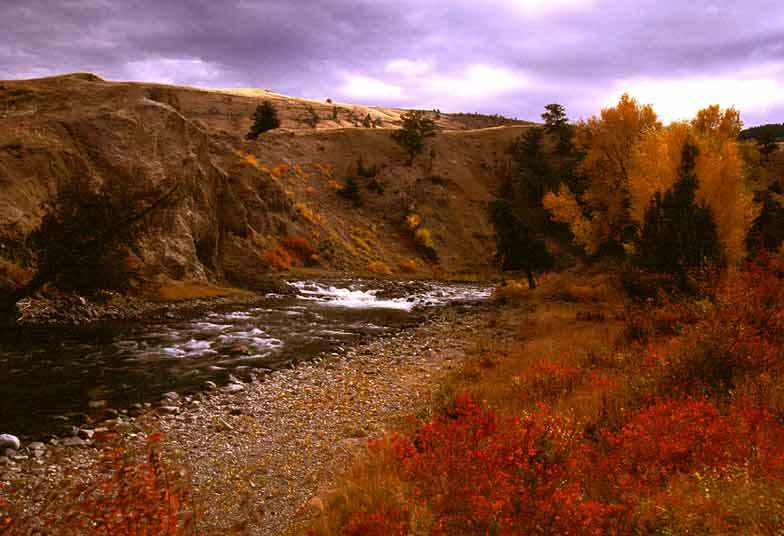 Numerous canyon trails offers some spectacular view of the canyon and the fall. 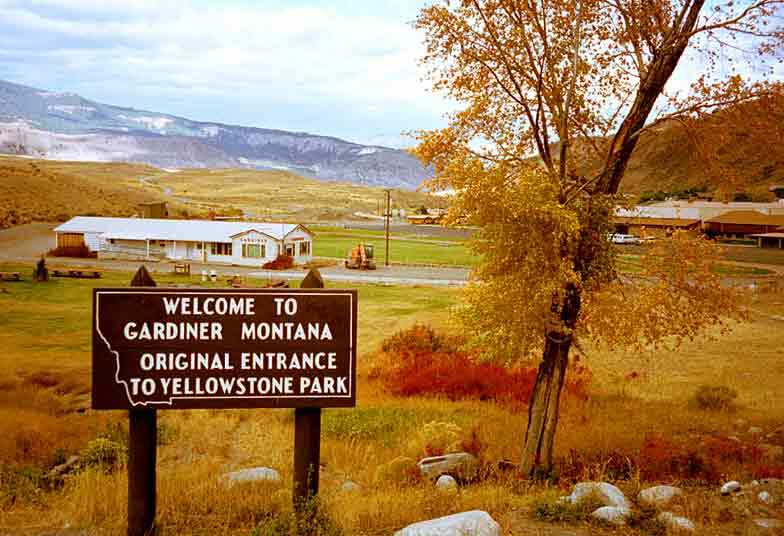 Home > Places > USA > Yellowstone National Park © 2002 Sim Kar Seng. All rights reserved.